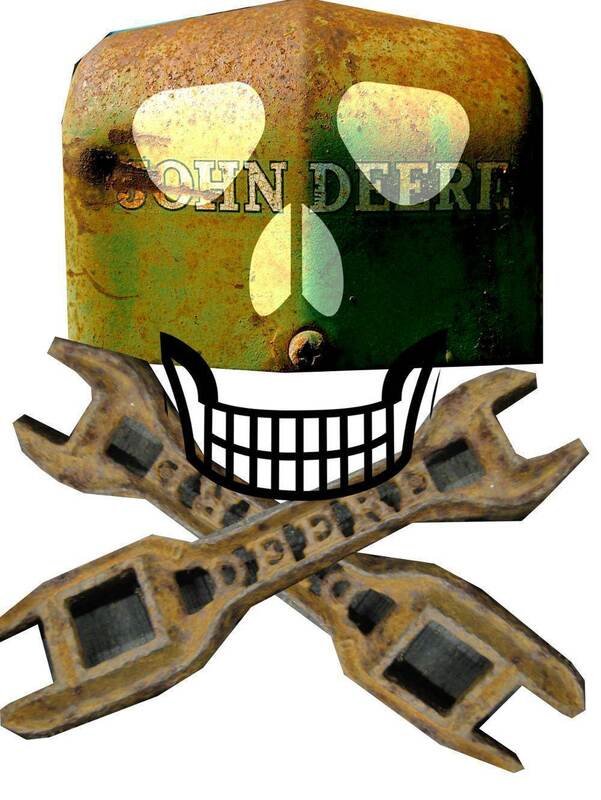 John Deere says that farmers don't really own their tractors -- even the ones they buy used! -- because the copyrighted software necessary to run those tractors is licensed, not sold. They say that the fine-print on the license agreement, combined with the ban on breaking software locks in Section 1201 of the Digital Millennium Copyright Act, means that farmers who reconfigure their tractors to recognize new parts without having them activated by technicians who charge hundreds of dollars, and take days, to travel to their farms and type in a password. Which is why John Deere tractor owners are downloading DRM-breaking tools from Ukraine, a practice that's taken hold in Canada (where the old Conservative government rammed through Bill C-11, which mirrors the US DMCA and gives the same abusive powers to businesses as they enjoy in the US). The alternative isn't just forking over hundreds of wasted dollars to John Deere for the privilege of using their own goddamned tractors: it's the ability to harvest a crop when it is ripe, and not days later, when John Deere grudgingly permits you to do so. Right to Repair bills are pending now in eight states, which would force companies like Deere to provide independent service centers -- and their customers -- with the tools to fix their devices and gadgets. Modern tractors, essentially, have two keys to make the engine work. One key starts the engine. But because today's tractors are high-tech machines that can steer themselves by GPS, you also need a software key — to fix the programs that make a tractor run properly. And farmers don't get that key. "You're paying for the metal but the electronic parts technically you don't own it. They do," says Kyle Schwarting, who plants and harvests fields in southeast Nebraska. He previously ran auto shops fixing cars and trucks. So when he started farming, he thought he'd be a natural to do the mechanical work himself. Even a used combine like his Deere S670 can cost $200,000 or $300,000. As he lifts the side panel on this giant green harvester, he explains that the engine is basically off limits. "Maybe a gasket or something you can fix, but everything else is computer controlled and so if it breaks down I'm really in a bad spot," Schwarting says. He has to call the dealer. Only dealerships have the software to make those parts work, and it costs hundreds of dollars just to get a service call. Schwarting worries about being broken down in a field, waiting for a dealer to show up with a software key. If he had that key, he could likely fix the machine himself.